A garage floor mat comes with many advantages, so if you plan on keeping your garage as clean and safe as possible, then you really need one. A mat keeps your garage floor safe from falling tools, spilled fluids, and the effects of the elements, such as melted snow, mud, and every other dirt that you want to keep away from your precious garage floor. This garage floor mats review provides you with a list of the top mat offers in the market, plus a buying guide to make it easier for you to choose the right mat for your needs. Amor All is one name that you can always count on when it comes to great garage floor mats. 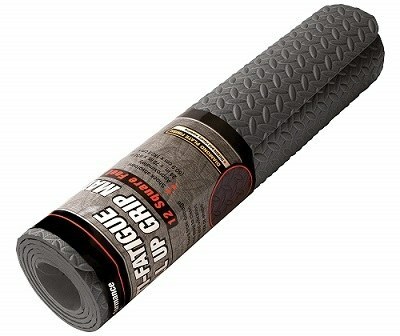 This offer is for a 20 by 7-foot, four inches mat, which is made of polyester and includes a waterproof rubber backing. You are also free to choose another mat with slightly different dimensions but made with the same material specifications, including the 17x7-foot and 22x8-foot offers as well. The top features a polyester material that lets all kinds of fluids like snowmelt, rain, and automotive oils, sink inside. On the mat's lower side, you get a waterproof rubber material that prevents these fluids from seeping out on to the garage floor. This Armor All garage floor mat could have been thicker though, measuring just an eighth of an inch. Still, it's a great offer that will get your garage looking great in no time at all. It's also easy to install or cut to size. AutoFloorGuard mats are among the best garage floor mats for keeping your garage clean and easy to keep up. It's made with a PVC-coated polyester material, which traps all dirt, grime, and fluids with ease. You also get a 1.25-inch containment edge to block fluids from spilling over and making a mess of your garage floor. AutoFloorGuard thermally welds the seams to make it waterproof and more durable. This floor mat has been a best seller for a long while and AutoFloorGuard continues to improve on it, such as by increasing the thickness of the material and adding a 22-inch squeegee head to the package to help with cleaning. It's also easy to install. Just roll it out and you're good to go, and simply hang it out to dry when you're done. 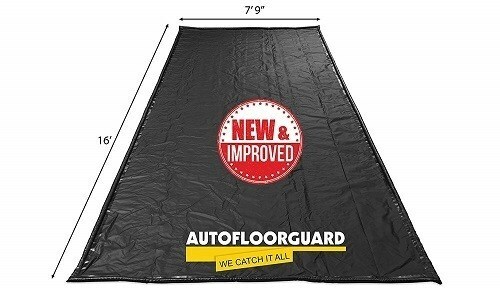 AutoFloorGuard backs it with a 1-year warranty. This top-rated garage floor mat is one simple and easy to install polyester mat that soaks up plenty of fluids and is additionally easy to keep up. The mat comes in three sizes, so you are free to choose which size best suits your needs. You can also cut it to size if you plan on doing a custom install. It's made up of a polyester top and a bonded rubber bottom, enabling it to hold on to the soaked fluids until to decide to hose it off or power wash the mat. On the downside, this mat lacks containment edges and the warranty is only for 30-days. It's however, a lightweight and very portable garage floor mat. This Speedway offer doesn't make much sense compared to the previous polyester mats in this review. But that is until you start imagining what combining its differently-colored tiles will produce. Although this particular offer is for the black tiles, they are also available in Beige, Blue, silver, Terracotta, and more. So, by combining two or more colors in a multi-color format, you can come up with so many lovely creations. Because these tiles are from a polymer, they can't handle water as polyester does. They are also not portable because they interlock during installation. Each package has 50 pieces of 1-square inch tiles. They are, however, heavy-duty tiles that are easy to clean using a mop and the manufacturer backs the package with an impressive 10-year warranty. 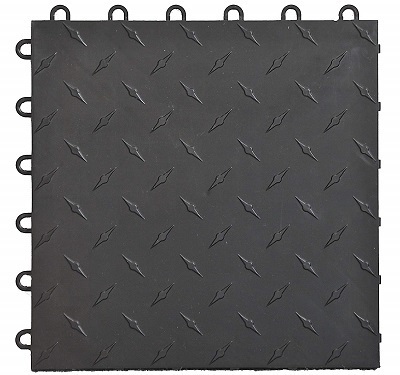 With this TruContain garage floor mat, you get a PVC-coated fabric mat that comes with containment edges and welded seams that appear underneath the mat. This means that even a broken seam will have no negative impact because it will simply not leak. Secondly, the mat is more durable because of this design. The downside is that the PVC layer on the fabric is a little thin and the entire mat is lightweight and soft, making it unable to rest solidly on its own. You, therefore, need to tape it to the floor during installation. On the brighter side, it's available in three sizes, it's portable and can move easily from place to place, and TruContain backs it with a 1-year warranty. Here's an innovative product from ClimaTex that's designed to protect your floors from damage and to prevent slippery garage floor surfaces. You can also use it elsewhere, both indoors and outdoors. You'll have to check the measurements first to find which of the three sizes on offer best suits your purposes. This one is 10 feet long, while others are six and 20 feet long. This rubber map features a diagonal texture that helps to trap moisture, stones, mud, and many other types of dirt. The mat itself is also designed to withstand heavy use and tough weather without degrading. Another impressive feature of this mat is that it's made using 100% recycled materials, so it's a pleasure to own by any Eco-friendly person. ClimaTex backs it with a 90-day money-back guarantee and a lifetime warranty. IncStores makes amazing floorings that stand out and this offer is equally an impressive piece, made from premium-grade polyvinyl and available in three sizes. It's coin patterned for better traction and dirt capture, making it easier to clean and keep up. Each roll has a 0.065-inch thickness and weighs 0.87 pounds per square foot. This makes this mat heavy and it's also one of the costliest offers in this review. It comes, however, with a 7-year warranty from IncStores, which tells you just how good it is. You can use it either as a single mat for a single vehicle or for a wall to wall flooring of your garage. Just keep in mind that you might need some extra effort to make the coin patterns on different mats align. 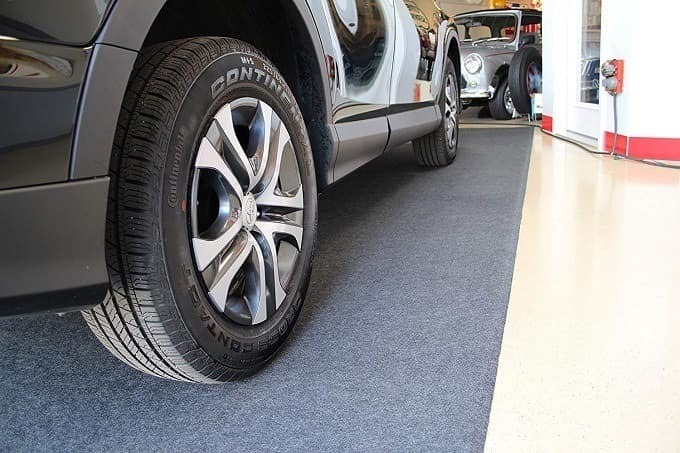 The G-Floor from BLT is a special garage floor mat that comes with lots of impressive features, such as its ribbed pattern for channeling fluids and creating traction, plus its high-quality vinyl material. BLT is so confident about this mat's material quality that it offers a lifetime warranty on the package, making it one of the best garage-floor mat offers in the market. It comes in different colors, including Sandstone, Blue, Green, and lots of other colors. Each mat measures 7.5x17 feet and weighs a full 74 pounds. This mat is waterproof and needs no adhesive to install. 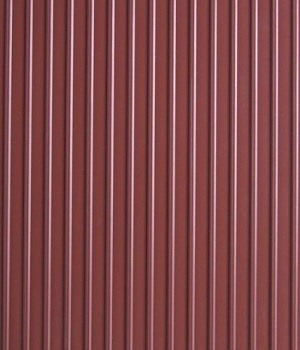 It is flame retardant, resistant to most oils and chemicals, and a perfect product to protect any garage floors. Here we've got a mat that's made from an entirely different material than the other offers in this review. It's made from Ethylene Vinyl Acetate or EVA foam. This foam is much softer than the Polyvinyl from which the other mats get made. This makes the mat very shock absorbent, leading thereby to a nice vibration and noise-reduction feature. The downside is that this mat is not as durable as many others, but it comes at a very low price, which is a huge plus in its favor. There are two available sizes. One measures 12 sq. ft, while the other measures 30 sq. ft. Being a soft material also makes it easy for you to cut this mat into any shape or size that you want. Although the costliest mat in this review, this Auto Care Products package also has a lot to offer. First off, it's made using heavy-duty 50-mil vinyl, which guarantees its durability. Being made from a heavy-duty vinyl also makes it one of the best garage floor mats for cars, vans, and trucks, because it can handle a lot of weight. It comes with equally strong snap-on sides, which are easy and fast to install. They help to keep your garage floor clean and safe from gallons of all kinds of fluids. This sheet measures 7.5x14 feet and weighs 35 pounds. It's available in four other sizes and it comes with a 3-year manufacturer warranty. Making the right floor mat decision for your garage is often tough, given the wide range of differences in the different offers from different manufacturers. The mats come in different sizes and with different designs, patterns, and different materials. It's therefore necessary, that you know the important features to look out for when making your choice, so you can make an informed decision. Following are the important features to keep your eye on. The first major difference between garage floor mats is their design, which divides them into the portable and the permanent mat types. As their names suggest, one type can easily get moved around, while the other can't. Still, they each come with their advantages and disadvantages as you can see below. Portable Floor Mats. The first feature of portable garage floor mats is that they are smaller in dimensions than the permanent type. They are also thinner and weigh less than permanent mats, making them ideal for carrying around. 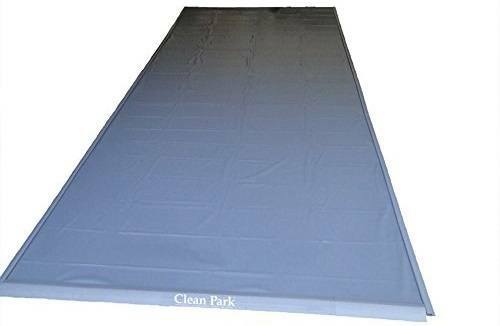 One good thing about portable mats is that you can always take then outside or somewhere else to clean. This is often useful in situations where you really need to get stuff off the mat. Permanent Floor Mats. With permanent floor mats, you get mats that are thicker, larger, and usually heavier than the portable variety. This type of mats can, of course, get removed after installation, but this is usually not the case because it's impractical to do so. Cleaning gets done as would a normal floor, with either a brush or a mop. One major advantage of permanent garage floor mats is that they last longer than portable mats, plus they are the better choice for heavy-duty vehicles like trucks and SUVs. Another difference between garage floor mats is the material that they get made from. There are two major materials that you'll find here and they are vinyl and polyester. Vinyl is cheaper than polyester and is often found in cheaper garage floor mats. It has excellent waterproofing properties but it's not as strong as polyester. To get a strong vinyl mat, you'll need to buy one that's really thick. Polyester mats are not as waterproof as vinyl mats, but they last longer. 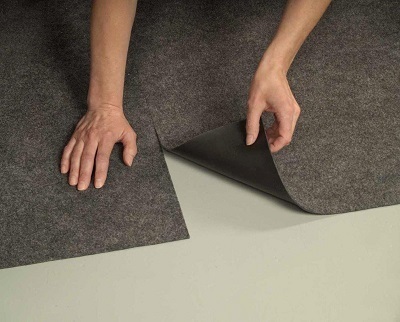 Some manufacturers use non-woven polyester for the mats, while others coat the polyester with PVC to make it better. 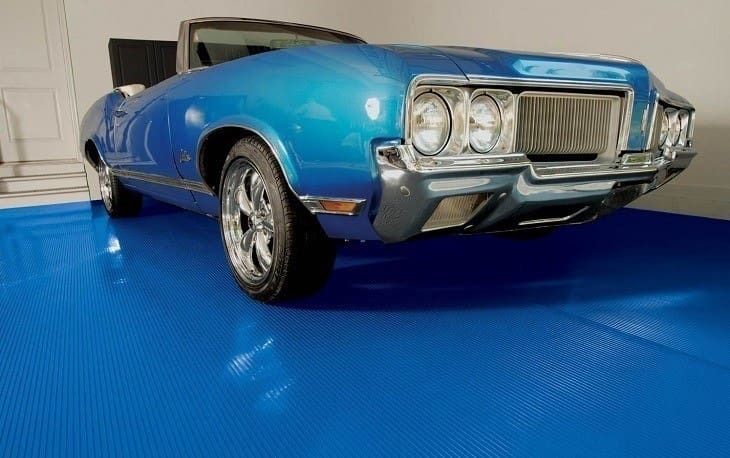 Just for when a standard garage floor mat doesn't exactly meet your needs, there are other garage flooring options that you can consider and they are as follows. Roll-Out Mats. 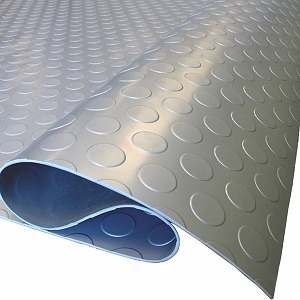 These are mostly vinyl mats that you roll out to cover as much of the garage floor as you need. They are solid and thick, and they don't need an adhesive to hold them down. Motorcycle Mats. They offer the perfect platform for motorcycles by providing the right size and mat shape for them. Interlocking Tiles. There are also heavy-duty tiles that interlock and allow you to install them and cover as much space in the garage as you need to. Garage floor mats often have the job of containing different fluids, including melted snow and automotive fluids, so it's necessary that any mat you'll get should have high-quality seams. Seams are so important that a garage floor mat's durability is often determined by its seams' quality. You'll find most brands using heat welds on their mats to guarantee its durability and that it holds water well. Many garage floor mats are so uninspiring, but there are some that offer some style. Design should only become important to you if you plan on maintaining a certain visual style in your garage, else it doesn't matter. You'll find different mats that come with lots of designs and patterns liked ribbed layouts, coin, and even diamond patterns. There are also different color options, asides from the conventional black. We've come to the end of this garage floor mats review and you've seen all the top offers out there, including the big and the small, as well as the vinyl and the polyester. You've also seen the cheap and the costly ones, as well as the stylish offers and those designed for specific functions. It's left for you, however, to make your choice on your own, because it's you alone that knows what you need, what will fit into your garage, and how much you're willing to spend.